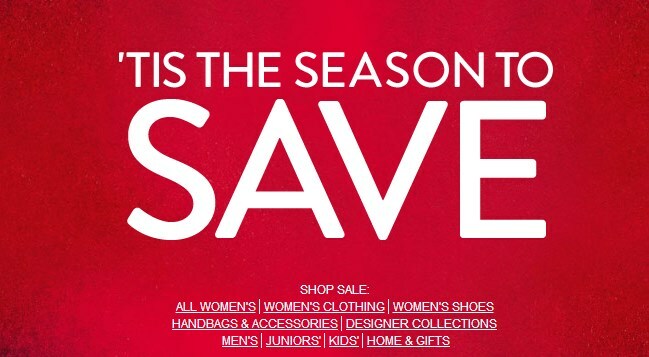 Nordstrom has a significant sale underway at the moment. The popular retailer stocks a variety of brands worn by Kate and offers 'Free Shipping & Free Returns' at all times. Their designer sale with 40% off includes pieces by Alexander McQueen, Burberry, Erdem, Max Mara, Stella McCartney and Topshop. There's a limited selection of L.K. Bennett footwear reduced, too. Temperley London has a Flash Sale underway with discounts on a number of 'very Kate' items. At Topshop, it's 30% off. One can receive 30% off and Free Ground Shipping over $150 with code W13COUPON at French Connection USA. REISS are offering 20% off everything online and in store until midnight tomorrow. The brand has a lovely selection of coats and jackets at the moment. Get 20% off at Claudia Bradby Jewellery with the code ONLINE20. The Kate Quartz Necklace, which Kate helped Claudia design during her time as an accessories buyer for Jigsaw is still available. Enjoy up to 50% off at Net-A-Porter. Kate designers in the sale include Roland Mouret, Roksanda Ilincic, DVF and Collette Dinnigan. As we previously mentioned the designer is stepping away from her label to spend more time with her family so the sale is a nice opportunity to acquire one of her pieces. Save up to 30% at DVF with a number of pieces from the designer's Autumn/Winter 2013 collection discounted. It's 20% off everything at Whistles. 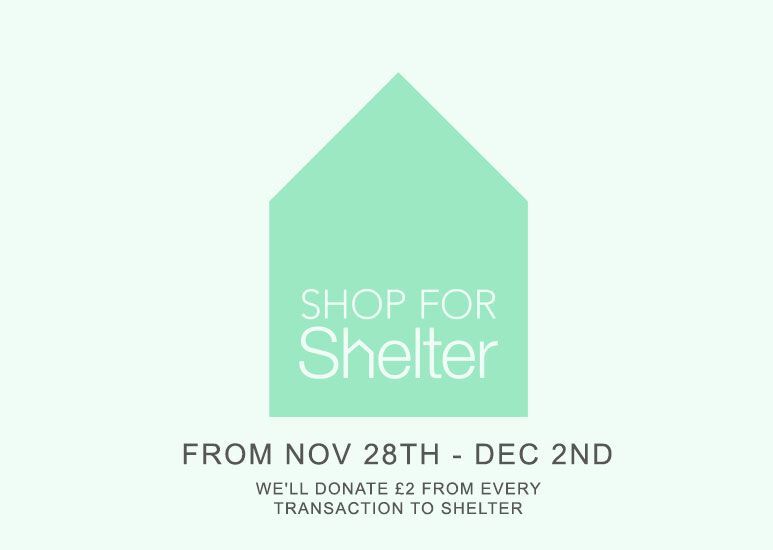 £2 from every transaction will be donated to charity. 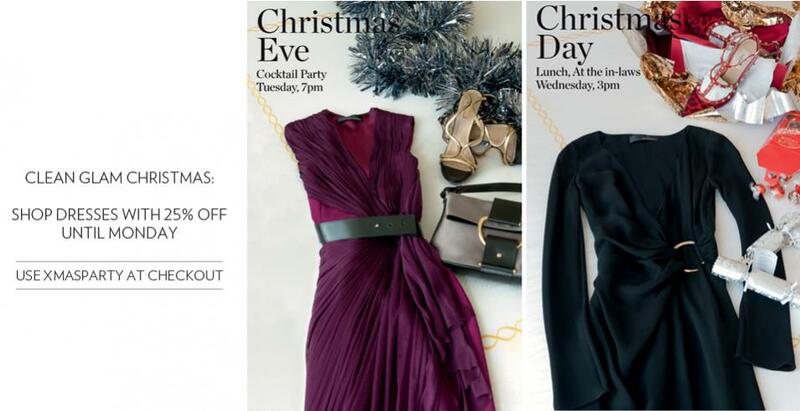 Receive 25% off dresses at Amanda Wakeley with code XMASPARTY at checkout. There's a terrific sale at Hobbs at the moment, with reductions up to 50%. And it's 20% off at Jaeger. We have just one more tidbit to share and it's about Kate's hair. There's no denying the Duchess's glossy locks have returned to their former glory. The Mail Online claims to have all the details behind Kate's hair transformation at the luxurious Rosanna Ferretti hair spa in central London. 'The Duchess arrived shortly after midday in a car with blacked-out windows and was whisked up to the VIP club suite on the third floor where she had her hair attended to in complete privacy by one of the salon's leading colour technicians. The staff at Rosanna Ferretti did a stellar job. Kate's hair truly looked fabulous! I'm looking at her dress again (in the last pic) and I think it would have made a very different statement if it was form fitting with longer sleeves. The loose fit and gathering at the waist is what makes it look "off" for an evening event. IMO. I agree. The skirt and shirt in the same design is more flattering because the solid black fabric comes down a bit over the hip. Thanks for a fun post, especially as I didn't expect to see anything! I'm definitely doing some online shopping. Specifically Topshop!! Am in love with their store. How about you? Since you're such a great Kate fan do you have any pieces that she's worn or repli-kates? I read the story on the DM and thought that it was great she got some hair therapy. It looks great now and hopefully will keep looking better. I really think darker hair suits her. Although I'm still keeping my fingers crossed we will see some different hair styles and updo's in the new year! I love J Brand also. I was actually wearing them before Kate made them super popular and now I wear them all the time. I've got some great Zara pieces too. Thanks Charlotte for this great post with all the info on the sales! Also I agree with you her new haircut and dye job is perfection! Very interesting to read the update about her hair. I was wondering who was doing - or not doing - her hair since Kate's longtime stylist James Pryce decamped from Richard Ward. Thank God someone talked her into cutting a few inches off of it. It was getting far too heavy and long. The only thing we saw was Kate's hair, not Kate herself!! But it does look MUCH better now. I have to laugh at the very clever marketing by Amanda Wakeley - cocktail party on Christmas Eve, then Christmas Day dinner with the in-laws? Sounds like Amanda's got Christmas at Sandringham on her mind - the Christmas Eve drinks party in the saloon then the big feast on Christmas Day!! Her hair was certainly gorgeous! Oh how I would love some of that VIP pampering! Kate's hair looked glorious in texture and shine. The cut itself leaves a bit to be desired, I felt. A few more layers in the front would be so amazing with her ravishing features. She used to have more layers, I wonder why she took them away. It looks like she had the whole deal - the keratin treatment, color, glossing treatment. It's not surprising it took 6 hours. Keratin itself takes between 2-3 hours. I get keratin treatments and they don't take 2-3 hours. My stylist allows an hour, although my hair is shoulder length and not as long as Kate's. I don't think that would add 1-2 hours though. Hi, Portia! Sometimes I wonder the same thing... Why Kate took her hair layers away! She used to have a nice haircut by the time of the engagement, and even before! She looks awesome now but that haircut was amazing on her! I would expect that, in 6 hours, she had more than her hair done. Mani/ped, waxing, possibly even a bit of spray tan applied, she's got a little more color than she's had in the last few weeks, which definitely suits her. But I agree with people about the layers. There's a photo of her at the 2008 or 2009 (the pink gown) Boodles Boxing Ball, where you can REALLY see the layers in her hair, she's got it to one side. It looks amazing. Isn't that long, black lace Temperley dress (the one on the left) the one worn by Pippa Middleton quite recently? It's one of the few Temperley designs I've actually admired. Her dresses tend to look overdone, over-embellished, to my eyes, and I don't care for the way they usually fit. Her hair looks so much better than it has been recently! The darker color really suits her and I am so glad she got a few inches cut off. This look just suits her so much better and looks much more polished. love the hair-cut, color, style- but not the dress as much as most of the posters. It seemed 'young' to me- and HRH has worn so very many beautiful dresses -it was hard for me not to like this one - I tried and tried to talk myself into liking it, but I don't and it's a first for me- I have loved all the other looks of Catherine. As long as we're waiting for the next Kate sighting, I'd like to ask some questions, hoping that my friends here will help me. First, has anyone found a RepliKate version of the Mulberry Polly Push Lock bag Kate carries? I want one just like that but can't see spending thousands of dollars on a handbag. Second, I was just reading a piece about Christmas at Sandringham. Do all the bows and curtseys still happen when the royal family are in the privacy of their own homes? Of course to the queen but, for instance, during the drinks party on Christmas Eve, do they still go around and bow and curtsy as required just for a family get-together? I'm just curious. I'm also wondering how Kate had the salon stylists address her. Your Highness? Ma'am? Mrs. Cambridge? I'm just curious about stuff like that. Technically speaking, they're supposed to do the curtseying and bowing even in private, but I think it unlikely that they really bother much, beyond the necessary courtesies to the Queen. Curtseying and bowing even to the Queen are optional, by the way, though the royals, of all people in the country, would observe the protocols to the greatest extent practical. I should have added: a female royal is normally addressed by her full style -- in this case "Your Royal Highness" -- on first address and as "Ma'am" thereafter. I would have thought the hairdresser and his staff would get this straight before her arrival and not ask her directly, but recently I read that a shop owner in the vicinity of Sandringham asked her what he should call her, and she said just "Kate". I'm a little suspicious of that story, because I think she really does want to be thought of as "Catherine" (the name by which everyone knew her before she reached secondary school) and because I think she would be particularly conscious of protocol issues so near the Queen's country home and wouldn't be inviting the locals to call her by her nickname. Not every royal event can or should be public. This is the Queen's annual diplomatic reception, a private event for the foreign diplomatic corps only, and there is no good reason to invite the media. For one thing, the Queen doesn't want to worry about having to have her picture taken with every single ambassador and possibly offending someone by accidentally leaving him or her out. They don't want guests in general to be jockeying to have their pictures taken with this or that royal. It's a very large reception. Do you think that, by any chance, we'll get to see some pictures of tonight's White Tie event? I'd love to see Kate wearing a tiara again! There are not supposed to be any photos. Thank you so much for sharing updates while I was away today. I'm going to whip up a post now and find out as much as I can about the photo (or lack of) situation tonight.